Enchanted Inn & Beachside Cottages offers conveniently located beachside rooms. 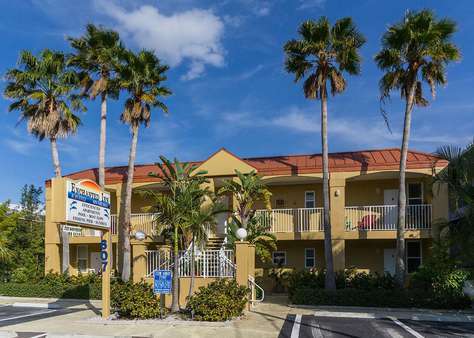 Each room in our recently renovated inn in Clearwater, FL, features a King-sized bed, full kitchen, access to our pool and boat slip, and more! The inn is ideal for relaxing vacations with friends or family. If you’re looking for a more intimate vacation, try one of our beachside cottages. Separate king-size bed-room, Living area with queen fold-out sofa.